Ben Stokes and Jos Buttler were all praise for Jofra Archer, their team-mate at Rajasthan Royals in the Indian Premier League and potentially with England as well, adding that the youngster has a good chance of making it to England's ICC Men's Cricket World Cup 2019 squad. Archer, who is yet to play a game for England, has 131 wickets at 23.44 in 28 first-class games. The Barbados-born all-rounder has just become eligible for England selection through his father. In the meantime, he has been performing well in global T20 leagues. Stokes and Buttler, who play alongside Archer in Rajasthan Royals in the Indian Premier League, conceded that the England selectors will have a tough time while announcing the World Cup squad on 17 April. "Jofra makes any team better," Stokes said on the Doosra podcast on BBC. "He is the most naturally gifted bowler I've seen and I don't think he quite realises how good he is. Some of the things he can do at the click of a finger are just 'wow'. It's pretty special to watch. "To have someone at the pace he bowls and the skills he has ... the selectors are going to be scratching their heads. It's a tough question but it's a great position to be in as an England team when you've got a player with the skill level Jofra's got." Echoing his colleague's thoughts, Buttler added, "One of the strengths of this side over the last few years hasn't been just 11 guys, but a strong squad of 15 even 19 players who have been driving competition within the side. There has been an improvement in individual and team performances. And Jofra is another guy who adds to that. "He is an X-factor bowler. He has shown around the world that he enjoys the limelight and the big moments. He just adds to the conversation for the selectors. I'm sure Jofra is that good that his name will be in the hat. It's nice problem for the selectors to have." Earlier last month, England coach Trevor Bayliss had also indicated that Archer could get a chance to play in the one-day internationals against Pakistan and Ireland in May 2019. 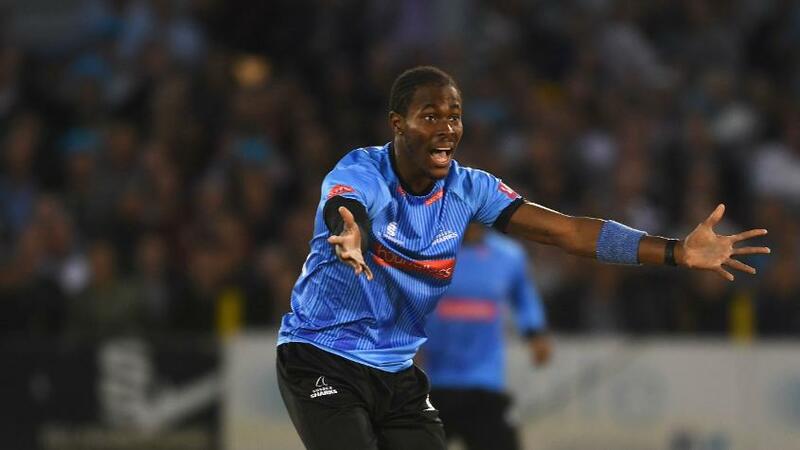 "Jofra Archer’s name keeps cropping up and I think at some stage we will give him an opportunity," Bayliss had told The Guardian. "Those matches against Pakistan and Ireland, I think he will get an opportunity to show us what he can do. I haven’t spoken to him. But he’s said publicly he’s keen." England's World Cup campaign will begin on 30 May against South Africa. Prior to the tournament, they will take on Ireland in a one-off one-day international, before locking horns with Pakistan in a five-match ODI series. England's busy summer will round off with the Ashes in August, and both Buttler and Stokes confessed they were looking forward to an exhilarating summer. "It's an incredibly exciting time for English cricket," said Buttler. "I think the 'favourites' tag doesn't really mean anything when you get into the tournament but it does mean that we have been doing some great stuff before the tournament that we should take a lot of confidence from. [We're] looking forward to getting the tournament started and [it] will be a really memorable summer of cricket in England." Stokes, who has over 2000 runs and 63 wickets in 79 ODIs, gushed, "I'm just desperate for all to start and get involved. We are No.1 [but] it doesn't really count for anything. Hopefully, we can back everything that we have achieved. "That's the thing about World Cups – when it gets to the crunch time, whoever turns up better on the day is going to win the games," he said. "And when it comes to the knockout stages, hopefully, we will be there."